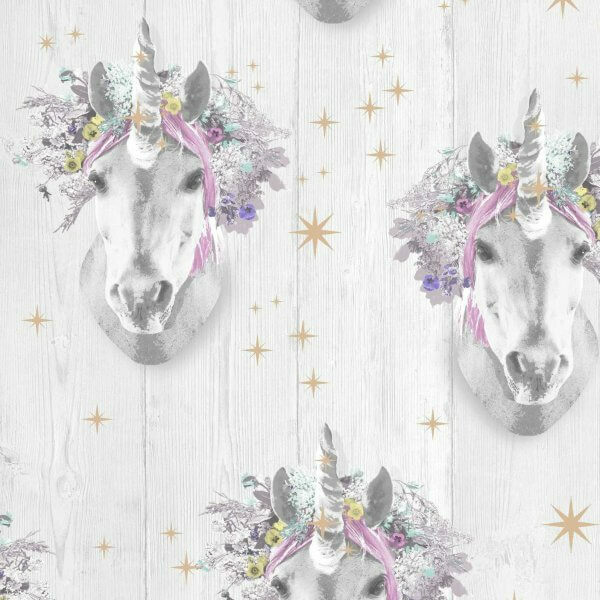 This enchanting wallpaper will certainly be a wonderful addition for any unicorn-lovers! From the pages of a fairy tale, this magical wallpaper features an enchanting rainbow unicorn with bright and shining stars interspersed throughout a delicately neutral wooden background. 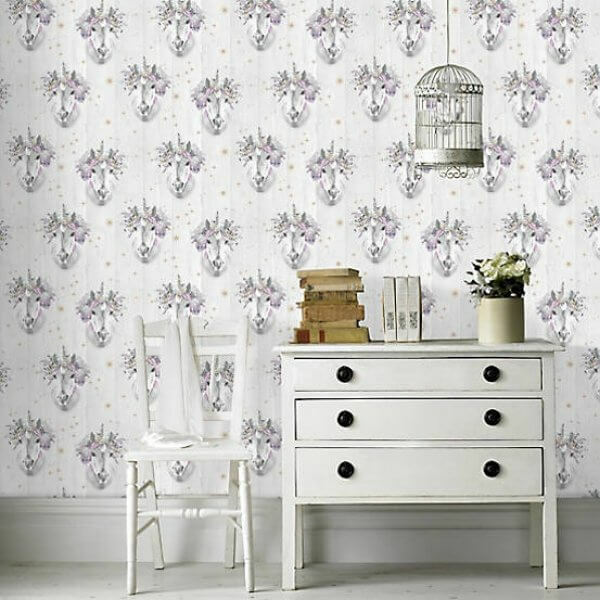 This wallpaper would certainly make the room of any fairy tale princess look enchanting.